The University Campus North Lincolnshire (UCNL) project has taken a step closer as a £2.3m funding package has been secured thanks to the Greater Lincolnshire Local Enterprise Partnership. The Government cash – part of a wider £7m investment – was agreed by the Greater Lincolnshire LEP through the Skills Capital Investment Fund. The new campus will welcome its first cohort of students in September at the Civic Centre on Ashby Road in Scunthorpe, marking the first part of the University Campus project. The UCNL aims to bring higher education opportunities to thousands of people across the region from a number of sites in North Lincolnshire.  Ruth Carver, LEP Director of the Greater Lincolnshire LEP, said: “The Greater Lincolnshire LEP has been investing in education and training providers’ facilities to ensure that learners have access to a quality learning environment that supports the delivery of the skills our economy needs. “So far we have invested in three projects through Single Local Growth Fund: £0.5 million in a new state-of the-art digital centre at Stamford College opening next week, £2.8 million in an new Engineering, Manufacturing and Technology Centre at Boston College opening in October 2019, and today’s announcement of a new university campus in Scunthorpe. “This £2.3 million investment gives the go-ahead to an impressive University Centre in Scunthorpe that will further support businesses and learners in the marine, manufacturing and offshore industries. “The partnership between the University of Lincoln and North Lindsey College will develop hi-tech training and education as part of a major drive to boost the areas skills base. It will help create more than 1800 new learners and 116 new curriculum/training courses, and the centre will work with up to 50 employers to make sure skills delivery is meeting the needs of both business and education. “It is absolutely vital that the area has the necessary skills and training to enable it to thrive and prosper in this fast-changing world, and we have been working with our partners in education and industry to develop a strategy to deliver just that. “This funding will help develop a wide-ranging programme of courses which will target the gaps in existing provision. It will make sure that people in work can update their skills and that our youngsters leave education fully equipped to play their part in developing a vibrant and thriving economy. North Lindsey College – part of the DN Colleges Group and the University of Lincoln - will develop the former council building to create an innovation hub where higher-level education will be offered across a range of subjects and levels, including post-graduate courses. Initially, courses on offer will focus on business and leadership, innovation, engineering manufacturing and health-related programmes. Northern Powerhouse Minister, Jake Berry MP, also threw his support behind the University Campus North Lincolnshire. He said: “We are committed to boosting economic growth across the Northern Powerhouse, Midlands Engine and the UK as a whole. “The Government is investing a total of £7.3 million from the Local Growth Fund to build skills in the Greater Lincolnshire area and this allocation of £2.3 million will give thousands of people in the region access to higher education, including Degree Apprenticeships, for the first time.